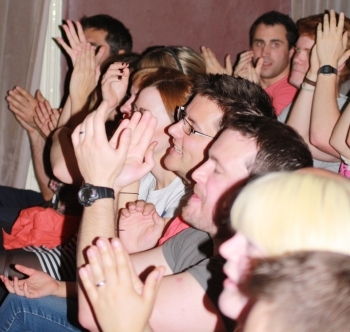 Laughing Horse Comedy and Comedy Point are one of the UK's largest bookers of comedy shows and comedians for comedy venues, corporate events, private functions and festivals, and this makes us perfect for you to hire comedians through us for your venue or event. We have been involved in the production and promotion of live stand-up comedy events since 1998, and in that time got to know every comedian on the circuit. 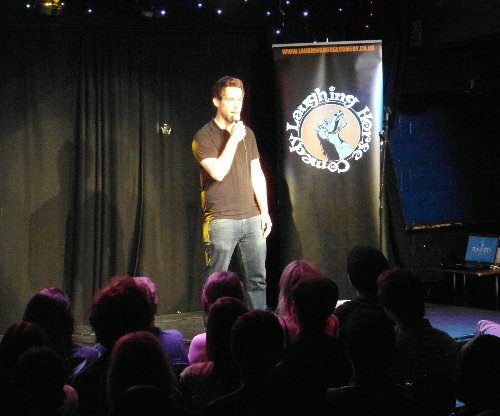 In the early days performers like Russell Brand, Jimmy Carr, Russell Howard, Nina Conti, Russell Kane, Rhod Gilbert and Catherine Tate cut their comedy teeth with the Laughing Horse, and we work with acts like those and nearly every comedian that has started comedy since then. We also produce and run shows internationally, from the world's largest arts Festival in Edinburgh, to shows across Europe and at festival in the United States and Australia - so have a unique knowledge of global comedy, and especially comedy in the UK. "I just wanted to get back to you after Saturday night, the acts were superb, went down a storm with the crowd -There was an ovation at the end and the last act got dragged back on stage a couple of times before finally managing to escape from the mic! It was the first event of this sort I'd organised and I would also like to thank compere Kevin for his patience as we came up with the running order for the evening and changed things about more than a couple of times! Even the owner of the venue wanted details of how we'd booked him!" - ‘South London Storm’ Rugby League Event. Through our national new act competition, running annually since 2000, we have helped discover some of the country's best new talent including Russell Kane, Jack Whitehall, Greg Davies, Imran Yusuf and many more that you will have seen on 'Live at the Apollo' or 'Michael McIntyre's Roadshow' - so we know who to book for shows from the best headliners, through to who is the best up-and-coming acts to see. 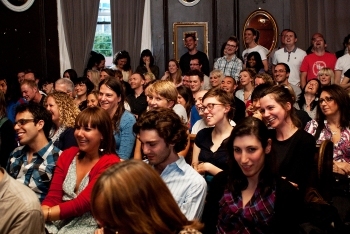 We can provide comedians and comedy for all manner of events, from booking a complete line-up of comedians at your venue, corporate event or private function, to booking single comics for events or shows, from big name acts through to the best of the comedy circuit, and up-and-coming stars-of-tomorrow - and we can also provide line-ups or run venues at festivals. We can put a show on to suit any budget. We can also provide other forms of performer for your event - cabaret shows, magicians, walk- around characters, and also provide family friendly comedy and cabaret shows that are suitable for schools, children's events, and audience members of all ages. In the past we have worked with: Disney, The BBC, Nestle, Sainsbury's, British Gas, The Auto Locksmiths Association, The National Housing Association, Lever Faberge, Index on Censorship, Inverness Caledonian Thistle Football Club, Jongleurs, Highlight, Various City Banks, The Battersea Barge, Ascot Racecourse - and many, many more. 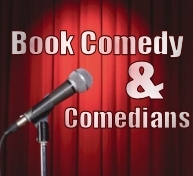 We Currently book regular comedy events around the UK with regular events including various London venues, Brighton, Inverness, Dunfermline, Edinburgh, The Midlands, Birmingham, Suffolk and Norfolk - as well as regular gigs at Holiday Parks all around the coast, and events in Europe. We are also one of the largest promoters at the Edinburgh and Brighton Fringes with literally hundreds of shows each year, and we also manage venues and produce shows in Australia at the Melbourne International Comedy Festival and Adelaide Fringe.